Under California Penal Code Section 273.6 PC, it is against the law to violate a lawfully issued California restraining or protective order. 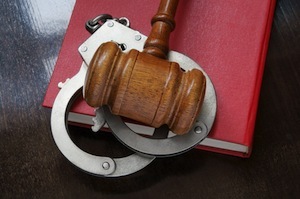 This occurs when despite knowing about a protective order (a term used interchangeably with “restraining order”), the defendant violates the terms of that order and engages in the prohibited conduct. Protective orders must be granted by a judge and are designed to protect individuals from harassment, physical abuse, stalking or threats. The specifics of an order will vary depending on the situation but often prohbit the respondent from having any contact with the protected party. This would include in-person contact as well as phone calls, text messages, e-mails or social media interactions. There are a number of different types of restraining orders that may be issued. Each category of restraining order requires the petitioner to establish different factors before the order can be granted. A domestic violence restraining order is issued to protect individuals from domestic abuse at the hands of someone they were in an intimate relationship with, such as a boyfriend or husband. A civil harassment restraining order is intended to protect those from harassment or threats coming from someone who they are not intimately involved with, such as co-workers, relatives or others who may engage in threatening behavior. An elder or dependent adult abuse restraining order may be issued to protect those who are 65 and older or adults who suffer from disabilities. There are three different types of restraining orders; emergency protective orders which can be issued by officers when someone is in immediate danger, temporary restraining orders which may often be issued to cover the period before a restraining order hearing is held and a permanent restraining order which can be issued by a judge following a hearing in which both sides have an opportunity to be heard. A permanent restraining order will typically be issued for three years and can be extended if necessary. If a person is found to be in violation of a restraining order, he or she can be charged criminally under California Penal Code Section 273.6 PC. To convict the defendant, the prosecution would have to establish that there was a lawfully issued protective order, that the defendant knew about the order and that the defendant intentionally violated the order. This means that if the restraining order was not lawfully ordered or if the defendant did not know about the restraining order, he or she may have a valid defense if charged criminally. This may occur where the defendant was never properly served with notice of the hearing and thus never knew about the issuance of the restraining order. In addition, the defendant would not be guilty of this offense if he or she did not intentionally violate the protective order. For example, the defendant may inadvertently run into the protected person while out in public or in another unavoidable situation. In these cases, the defendant would have a legitimate defense if charged criminally. However, prosecutors and judges tend to be highly suspicious of “inadvertent encounters” that may occur in these scenarios especially where the defendant had previously been accused of stalking the protected person. Violating a restraining order is a misdemeanor level offense, and those convicted can be sentenced to serve up to a year in jail and up to a $1,000 fine. In addition, judges may require that the defendant engage in anger management or domestic violence counseling as a condition of probation. Subsequent violations can lead to felony charges. A defendant who has a restraining order issued against him or her loses the right to lawfully own or possess a firearm. If the defendant is found to be in possession of a firearm, he or she could face additional criminal charges and penalties. If you have been charged with violating a protective order or have been served with notice of a protective order hearing, it is critical that you meet with a Los Angeles Criminal Defense Attorney right away. Los Angeles Criminal Defense Lawyer Michael Kraut is a former Deputy District Attorney with over 14 years of prosecutorial experience who is highly skilled at fighting restraining orders and defending those who have been charged with violating these orders. For more information about Los Angeles violating a restraining or protective order, and to schedule your free consultation, contact Los Angeles Criminal Defense Lawyer Michael Kraut at the Kraut Law Group located at 6255 Sunset Boulevard, Suite 1480, Los Angeles, CA 90028. Mr. Kraut can be reached 24/7 at 888-334-6344 or 323-464-6453.